Intex listed a new handset on its official website. Dubbed as Cloud N IPS, the new handset is offered with a price tag of Rs. 4,350. There is no official information about the handset and the availability. However the handset is available for purchase online and is priced only Rs. 3,785. 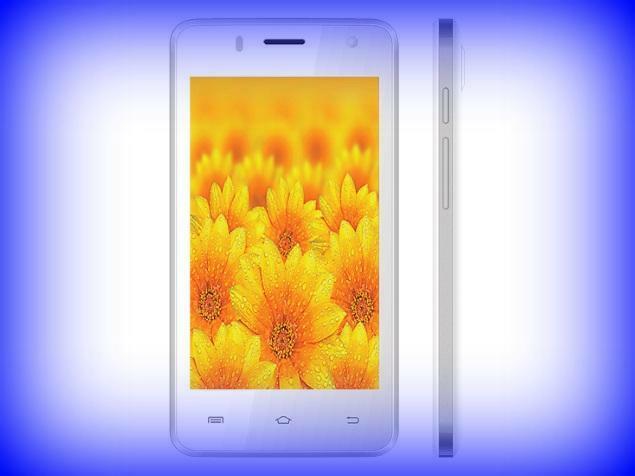 Mumbai: Intex Cloud N IPS comes with 4 inch display and the resolution of it is 480 x 800 pixels. It weighs just 101 grams. The handset is powered by quad core Spreadtrum SC7731 processor whose clock speed is 1.2 GHz. The processor is combined with 512 MB RAM and the internal storage is 4 GB. Memory can be expanded up to 64 GB via micro SD. It comes equipped with 8 megapixel primary camera and there is also 2 megapixel front facing camera on board. The handset comes out of the box with Android 4.4.2 Kitkat operating system. It supports WiFi, Bluetooth and 3G connectivity. This dual SIM mobile phone has 1400 mAh battery under the hood. Intex cloud N IPS is now available online at Snapdeal for Rs. 3,785. Free delivery is offered and order will be delivered in four to six days. Cash on delivery is available and it can be purchased on EMI also. Click here to buy. The handset is listed on the official site in black and white color options. This entry was posted in Launches, Tech on June 29, 2015 by Rakesh.